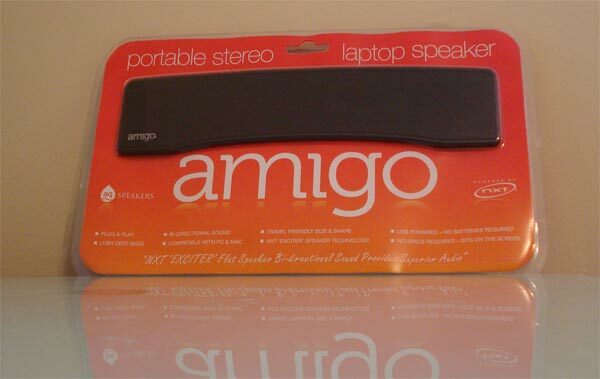 The guys over at AQ Amigo sent us one of their Amigo Portable Stereo Laptop Speakers to try out, it is designed to sit on top or your laptop and give you a better sound than the standard built in speakers. 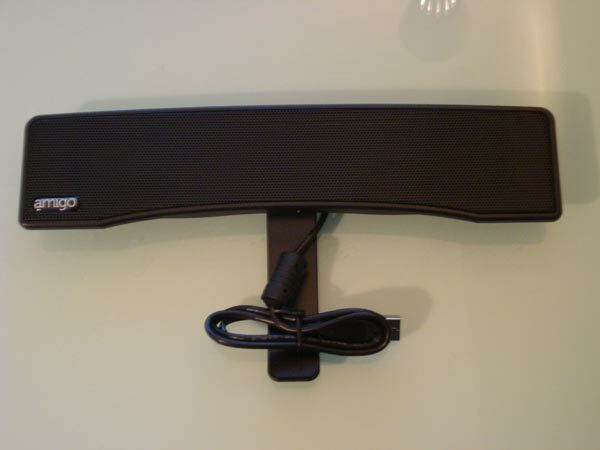 I like the design of the speaker as it sits nicely on top of your laptop screen, and it also has a stabilizing bar which fits over the back of the laptop, it features bi directional speakers, with 2 x 1.2W power output. The AQ Amigo Portable Stereo Laptop Speaker is powered by USB, and it is very easy to set up, just plug it into your USB port, and you are ready to listen to your favourite tunes. We tested it with a 15 inch laptop, as you can see from the photo the speaker is quite compact, measuring in at 260mm wide, by 60mm tall and just 25mm thick, so it would work well with a range of laptop sizes from 13 inch upwards, the AQ Amigo Portable Stereo Laptop Speaker is compatible with both PCs and Mac. 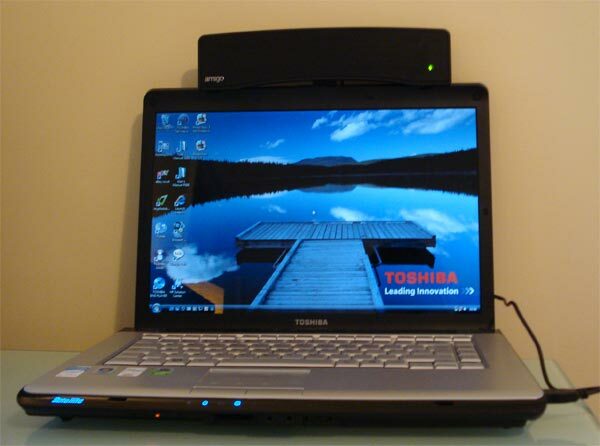 Overall if you are someone who uses your laptop or MacBook for listening to music or even playing games I would recommend the AQ Amigo Portable Stereo Laptop Speaker as it was a great improvement over standard laptop speakers. The AQ Amigo Portable Stereo Laptop Speaker is now available from a number of retailers for £24.95 about $41.